In order to liquidate a good amount of household items, it’s a good idea to get the help of estate buyers or to hold an estate sale. Experienced estate buyers know how to get the job done, but you can easily organize on your own even if you are liquidating your estate for the first time. The most important advice you will get from an experienced liquidator is to take your time to get things ready. Preparing can take a couple of days to a week depending on which method you choose to use. Evaluating all of the items, organizing and marketing the sale properly is not a quick and simple task so you should expect this step to take some time. 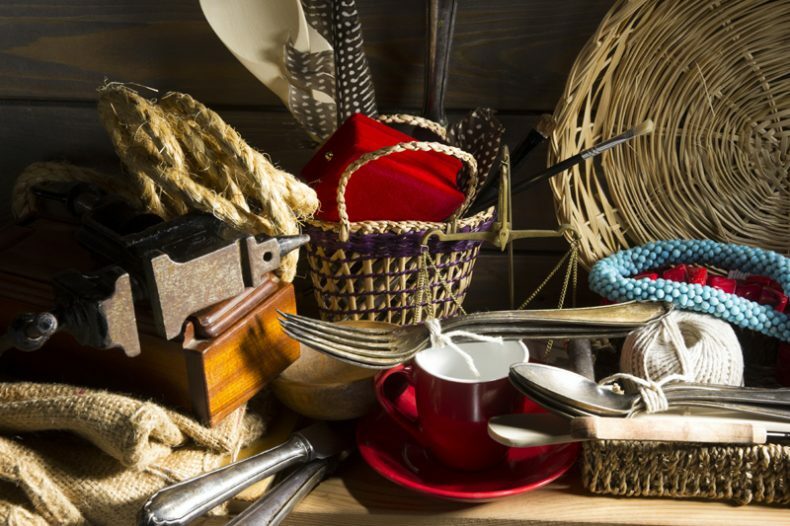 While de-cluttering the house, make sure whatever you are selling is in good condition. You are more likely to get a better price for an undamaged china set rather than one with a chipped teacup or missing plate. It is also a good idea to offer a mix of price points from ‘garage sale’ tchotchkes to more ‘high-end’ collectibles and fine art. There’s a good chance that your basement is filled with tools and appliances. Some specialized equipment won’t sell at an estate sale, but you can sometimes get offers for these items from a store or dealer. If that approach is fruitless you can always donate them to a local art program or a non-profit organization. The best way to draw attention to a sale is to publish visually stimulating advertisements with many photos. For professional looking pictures you may need a professional photographer, which you can consider as an investment expense. If you decide to print your photos, make sure to place them in areas which lead the potential buyers directly to your home. While holding a one-day sale might be easy to do, a majority of estate sales are held over a period of two to three days. It is wise to select specific dates that do not clash with major events or holidays in order to capitalize on the traffic you get. Make sure to check on the weather conditions as well since you may have a lesser turnout on a rainy day! Make use of your creativity to stage items in categories and display them properly before the audience. Keep the high end items up front, so the buyers can see them right away and so you can keep a watchful eye on them while the sale is going on. Although it may be tiring, be sure to greet every buyer with a warm hello and smile. Expect lots of questions and don’t be offended if people offer you a price lower than ticketed. If your buyers have a good experience shopping, they might refer your sale to others or come back for a second day! Any item you wish to put on sale should have a proper label and pricing. This is done to avoid any unnecessary questions during the sale. If you are not sure about certain aged items, contact a professional appraiser or use online resources. The real worth of an item is defined by how much the buyer is willing to pay. Expert liquidators have significant experience in this field due to industry knowledge and prior sales. This is why people hire professional downsizing services to fulfill your requirements. The objective should be to sell each and every item in a few days, and you should follow your established rules to keep the process simple. If you are thinking about hosting your own estate sale or want more advice, read all about estate buying and downsizing tips.